Welcome to Orchard Country Park. Whether you are already a resident or are looking to move here, we hope that you find the information on our website helpful. We are a family run park and are always here to answer any questions you may have, so please do not hesitate to contact us. We aim to keep a friendly feel to the park with owners feeling that they are living in a community - a home away from home. 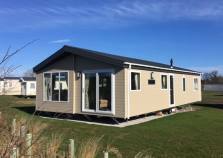 We have various lodges and vans for sale, so please visit our For Sale page to see what we currently have available. If you don't see anything that ticks your boxes then please still get in touch - we have excellent relationships with our suppliers and are able to source the right home for you. We hope to see you at the park soon!.